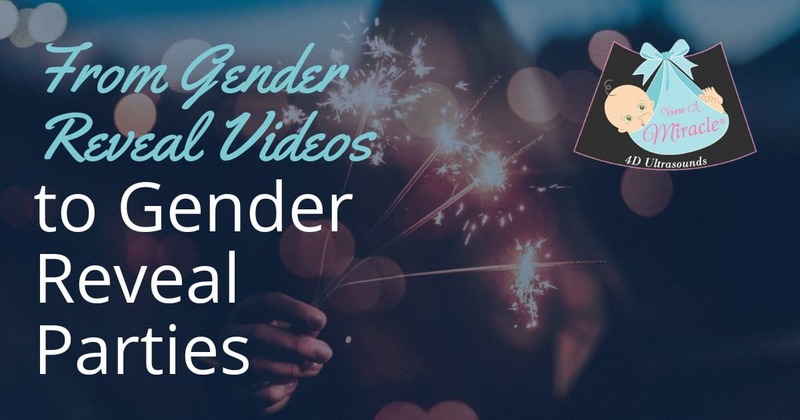 Gender reveal videos opened the door to what we now know today as the gender reveal party. 3D/4D ultrasound technology allows a registered sonographer to make gender determination as early as 12 weeks with 95%-99% accuracy. View A Miracle’s registered sonographers can make gender determination with 100% accuracy at 16 weeks for most clients. Some parents to be choose to hire a gender reveal party planner. View A Miracle also offers gender reveal party packages, which include a private room / courtyard to host the celebration, choice of gender reveal item, jump drive, pictures and more. Once gender determination is made and the gender reveal party has concluded, View A Miracle makes it easy to begin planning your baby shower as we also offer a private baby shower venue that can accommodate up to 30 of your family and friends. Are you interested in gender determination, a gender reveal party or baby shower? Contact View A Miracle to learn more about how we can help you create memories that will last for generation to come!